Hope your weekend's are going well! So my husband and I decided to spend Saturday night at home this weekend because of the gloomy wet London weather. 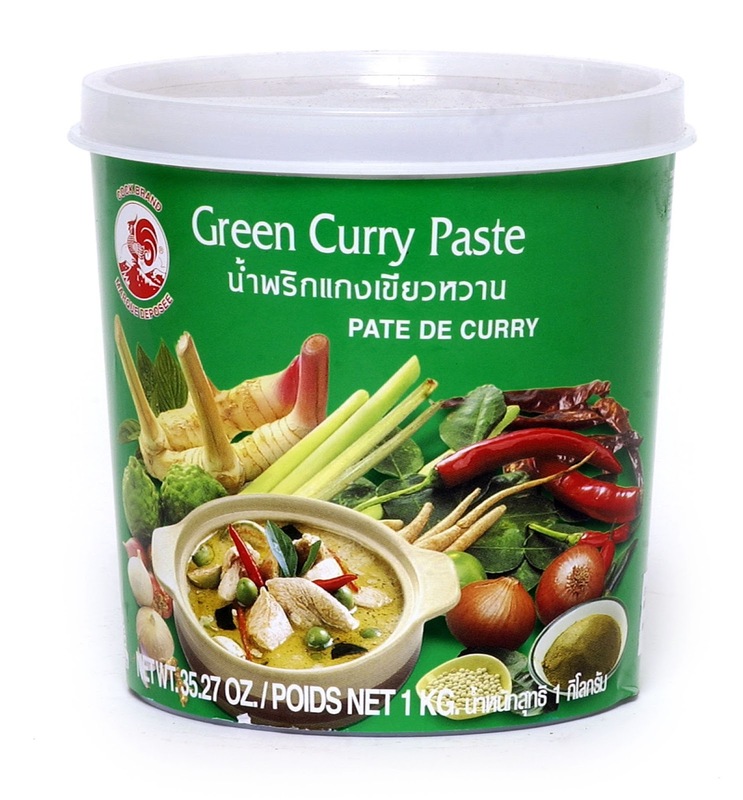 I hadn't made Green Thai curry in a while so I decided to make that for dinner. And we also watched The Lucky One (the sweet romance drama with Zac Efron) which was surprisingly good. It's another one of those moves based on a Nicholas Sparks novel, which are always good for a date night movie. 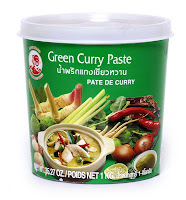 Anyways I wanted to write up the recipe for my Green Thai curry, which a few people had asked me about. It's really super easy and doesn't take more than 30 minutes to make. Add the oil to a wok style cooking pan, and add the garlic paste. 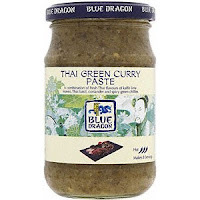 Fry the garlic for a few minutes and then add both of the green curry pastes. Stir and add the Kaffir Lime Leaves. Cook the pastes in the oil on medium high heat for about 5-10 minutes. Add the coconut milk and turn the heat up. Let it cook and evaporate the liquid. If it starts to dry up, add some water and keep cooking. The flavor comes out the more you cook it. Add the red chilli powder, salt and squeeze in about 1 Tbsp of lime juice. While its cooking, chop up the peppers and zucchini. I use those vegetables but you can substitute for other things like broccoli, mushrooms etc. Add the vegetables in once the green curry paste has been cooking for about 15 minutes. Once it starts to bubble, turn the heat down and cover with the lid and let it cook for about 10 minutes to allow the vegetables to cook. After 10 minutes lift the lid, and add in the king prawns. Note that you can also substitute with diced chicken breast. Cook on high for another 5-10minutes until you reach the desired consistency. Serve with long grain boiled rice and enjoy!